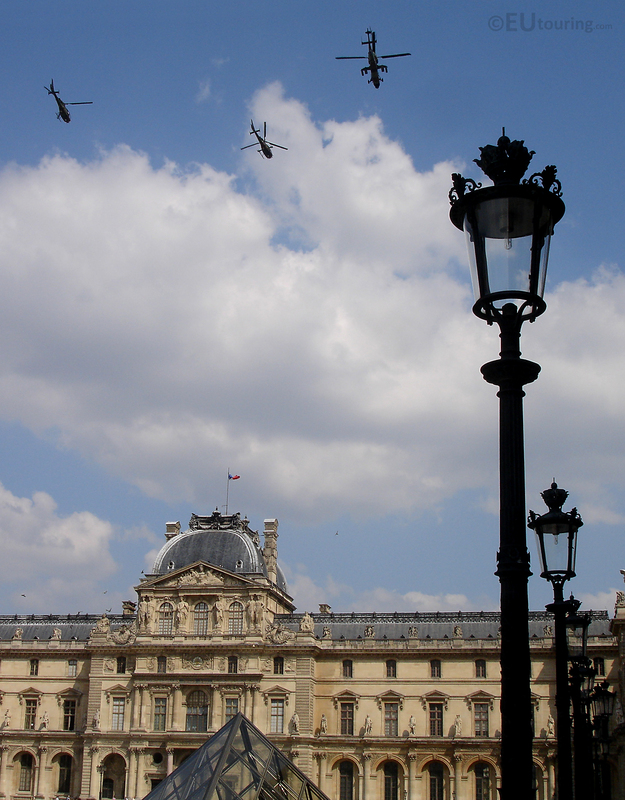 Our sunday Teaser answer included a helicopter passing overhead the Louvre Museum, a few days before Bastille Day. Sadly no one got it this week, but hopefully it will be figured out next week! Here is our Sunday Teaser for this week – Take a guess where or what this is of and we’ll reveal the full photo and correct answers on Monday – Good luck! 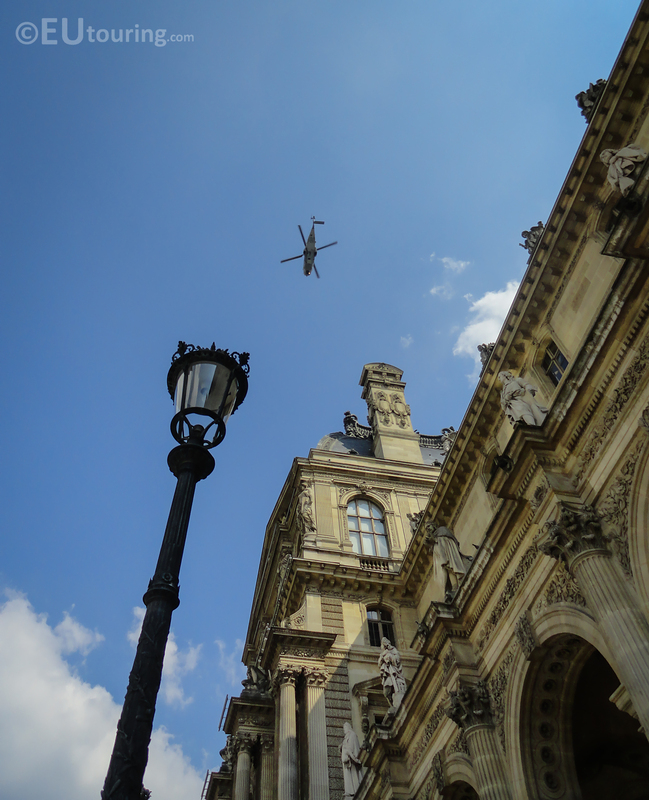 With an ornate lamp post in the foreground and a fly over of helicopters above this photo we took at the Louvre is a rare occurrence to capture over the museum. Here you can see a helicopter taking part in a fly by, travelling over the Louvre Palace, showing the incredible architecture as well as a detailed lamp. Here you can see a photo of three helicopters going over the famous Louvre Museum, with a picture of another photographer also capturing the moment.